Low & Slow is born from a dream and a way of feeling, understanding and expressing blues music. Thanks to the energy and unconditional support from blues lovers who have been involved in this project, such as The Xúpara La Garriga Blueslovers or many of our students, we have been able to realize that tinny idea. For us, blues is one of the dancing disciplines that require the most interpretative attitude. Our identity is constituted by the creativity and emotion sprung from us when we dance a blues and it allows for all our background to emerge. Water is the element with which we identify ourselves the most when we dance a blues. Its fluid and sinuous movements are an inspiration. 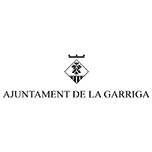 For all that, we have decided to create the first blues international workshop of La Garriga, for it is a suitable enclave thanks to it thermal waters and the warmth of the environment and its people. Welcome to Low & Slow!